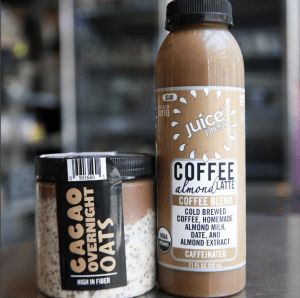 Also new to Juice Press is their selection of gluten-free breakfast jars, which come in 3 flavors: Matcha Overnight Oats, Cacao Overnight Oats, and Strawberry Dragonfruit Overnight Oats. 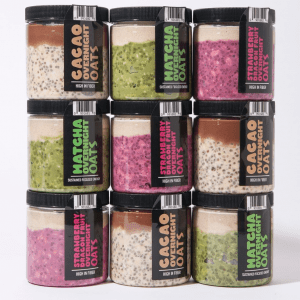 Each jar is packed with chia and oats for an extra kick of fiber and protein, then topped with a silky layer of cashew pudding. Yum! 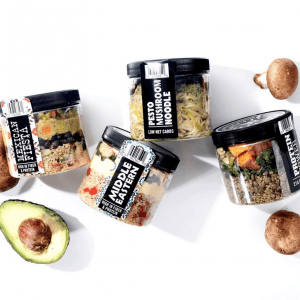 Juice Press’s new line of organic grab-and-go jars–each of which contains a balanced, plant-based meal–make for fantastically easy lunches. 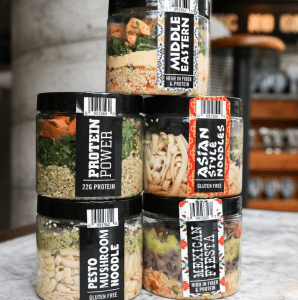 The array includes Middle Eastern, Protein Power, Asian Style Noodles, Pesto Mushroom Noodle, and Mexican Fiesta. 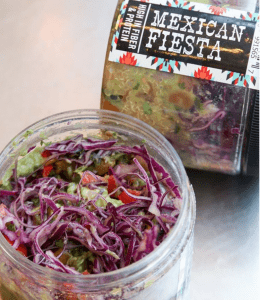 We’re big fans of Mexican Fiesta, which is composed of “mineral-rich quinoa topped with nutrient-dense black beans, avocado–a healthy fat source–and cabbage for a crunchy kick.” If you love spice, you can choose to take it up a notch by adding one of JP’s homemade hot sauces. 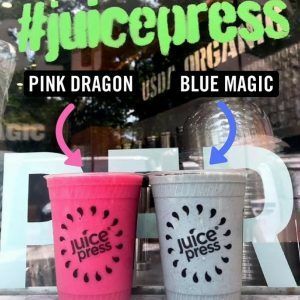 Last but not least, Juice Press has two new flavors of coconut water, both of which are only available this summer. 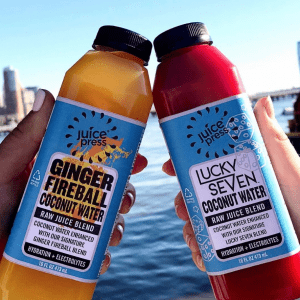 Says JP: “We took two of our favorite signature juice blends and added coconut water for electrolytes!” Stop by to stock up on Ginger Fireball Coconut Water + Lucky Seven Coconut Water.